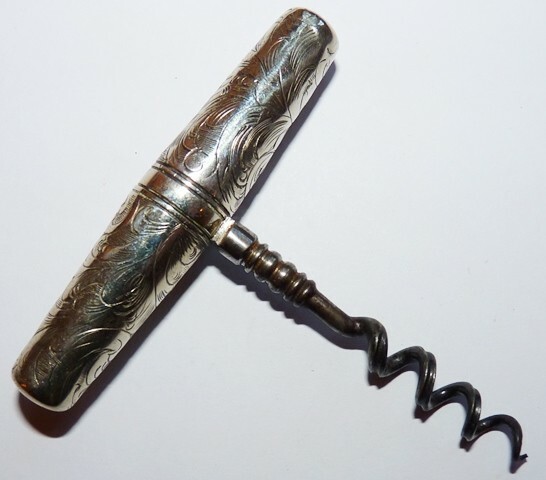 A good roundlet corkscrew with attractive engraved design. These engraved examples are hard to find. Nice grooved worm. Good condition consistent with age. UK - Special Delivery £6.95, Europe Airsure £13.46, Rest of world Airsure £14.40. Other postage options can be arranged with additional insurance. Paypal or Personal cheque for UK buyers.